Technodao: 급진적 트랜스휴머니스트 Ray Kurzweil이 director로 있는 Google DeepMind Program은 알파고와 이세돌 경기를 통해 미래의 인공지능(AI)의 가공할 능력을 보여주었습니다. 마침 시카고대학 마틴마티센터에서 그들의 웹진에 칼럼을 부탁하기에 이 사건에 대해 다음과 같이 동아시아적 입장에서 Google에게 주는 주의의 메시지를 주었습니다. 그리고 이윤목적에 휘말리기 쉬운 technology보다 인간도덕성에 기반을 둔 technodao라는 용어를 제시했습니다. The Sightings, the web journal of University of Chicago's Martin Marty Center, published my short reflection of the historical Go game between Alphago and Lee Sedol. I coined the term "techno-dao" (disciplined wisdom for benevolence or beneficence) in contrast to techology (vulnerable knowledge to be used for a maximum profit). In a historical milestone for Artificial Intelligence (AI), AlphaGo, an updated (General) AI developed by Google’s DeepMind unit, challenged Korean Go grandmaster Lee Sedol, and handily won, 4 to 1. Go is a game with a nearly infinite number of possible moves; it requires superior intelligence and creative intuition over and beyond a simple capacity for logical calculation. The sensational defeat of a human Go grandmaster by an AI machine shocked the world. For the people in East Asia, however, besides reflection on a simple contest between humans and machines, this event leads to reflection about a ‘clash’ between the East and the West, between Confucianism and Christianity, or between Dao and Science/Technology. It is odd that Google selected a Korean player instead of the Chinese master who holds first rank. Google may have been influenced by obvious geo-political and business reasons! Another important reason could be the sensitive issue of cultural hegemony. Although debatable, until the Middle Ages, East Asia (China) was more technologically advanced than the West. After the opening of the Silk Road, these advanced technologies traveled West along this trade route. Thus, in East Asia, technology has been viewed as participating in attaining the dao of ren so as to have peace and harmony in the world. However, it has also been viewed as dangerous and in need of regulation since it considered vulnerable to misuse by uncultivated minds seeking to fulfill selfish desires and assert their will to power. In other words, Neo-Confucian ancestors pursued technodao (disciplined wisdom for benevolence or beneficence) rather than technology (vulnerable knowledge to be used for a maximum profit). This ideal hindered the development of technology in East Asia and it fell behind the West in modernization—a trauma for East Asian intellectuals. The exception, Japan, cleverly accommodated the Western approach. The Japanese may have had fewer cultural and moral qualms against capitalistic Western industrialization, possibly because they had a shorter history of Neo-Confucianism. Japan’s accommodation helped this country realize her dream of becoming an aggressive Western-like power in the East and a militant colonizer in Asia. It was invited to become a member of G2 or G3 even in the aftermath of the devastation it inflicted on East Asia during World War II. Recently, Japan proudly hosted a G7 summit meeting at the site of Mie’s Ise Shrine, a holy place for Japanese royalists, and welcomed the first sitting U.S. president’s visit to Hiroshima. China, a country that is becoming more westernized since her cultural revolution, is painfully observing and meditating on the symbolic threat of Japan’s alliance with Western powers. In this context, it makes sense that Google chose South Korea as the venue for the history-making game between AlphaGo and a Korean player. Korean society is perhaps be the last frontier of Neo-Confucian civilization, at least culturally, because it has preserved Neo-Confucianism in its most pristine form. Professor Wm. T. de Bary, who specialized in an early form of East Asian studies, said that “the inward looking” East Asian people would have seen “the expansionist West” in the eighteenth and nineteenth centuries as “the very embodiment of uncontrolled aggressiveness—power on the loose, bound to no moral and spiritual center.” Ironically, these characteristics may now be seen in the West in a reversed way due to the aggressive attempts of East Asian countries to catch up to the developed world. China, especially, struggles with the trauma of ‘loosing time’ and the destruction of old Confucian values during the Cultural Revolution. People in the East see the superiority of advanced AI technology, but, cannot detect hints of techno-dao. In this context, the leaders of Google may need to demonstrate how technological projects like DeepMind qualify as something more than “power on the loose, bound to no moral and spiritual center.” Worrisome—Google has not revealed the names of the members of its ethics board. After all, the purpose of Go for East Asians is not to showcase the supremacy of a player’s skill and intelligence, but to rectify one’s mind-and-heart and cultivate one’s character to attain the dao. Koch, Christof. “How the Computer beat the Go Master: As a leading go player falls to a machine, artificial intelligence takes a decisive step on the road to overtaking the natural variety.” Scientific American, March 19, 2016. http://www.scientificamerican.com/article/how-the-computer-beat-the-go-master/?WT.mc_id=SA_WR_20160323. For an explanation of dao and ren, see Herbert Fingarette, Confucius—the Secular as Sacred (New York: Harper & Row, 1972). Kim, Heup Young. Wang Yang-ming and Karl Barth: a Confucian-Christian Dialogue. Lanham, MA: University Press of America, 1996. Recommended: chapters 3, 6, and 11. Ryan, Kyla. “G7 2016 Summit to Be Held at Site of Mie’s Ise Shrine: Prime Minister Shinzo Abe hopes to send a message with the choice of location.” The Diplomat, July 20, 2015. http://thediplomat.com/2015/07/g7-2016-summit-to-be-held-at-site-of-mies-ise-shrine/. De Bary, Wm. Theodore. East Asian Civilizations: a Dialogue in Five Stages. Cambridge, MA: Harvard University Press, 1989. 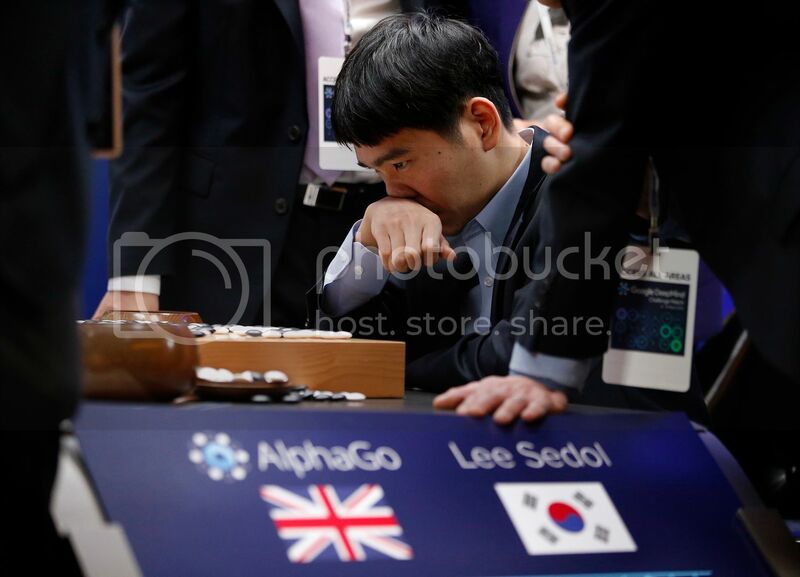 Image: South Korean professional Go player Lee Sedol reviews the match after finishing the final match of the Google DeepMind Challenge Match against Google's artificial intelligence program, AlphaGo, in Seoul, South Korea, Tuesday, March 15, 2016. Google's Go-playing computer program defeated its human opponent by a 4:1 margin; Credit: Lee Jin-man / AP Photo. Author, Heup Young Kim (김흡영 金洽榮), (Ph.D. Graduate Theological Union in Berkeley, CA), is Professor of Christian Systematic Theology at Kangnam University in South Korea. He specializes in Asian constructive theology, interfaith dialogue, and religion and science. 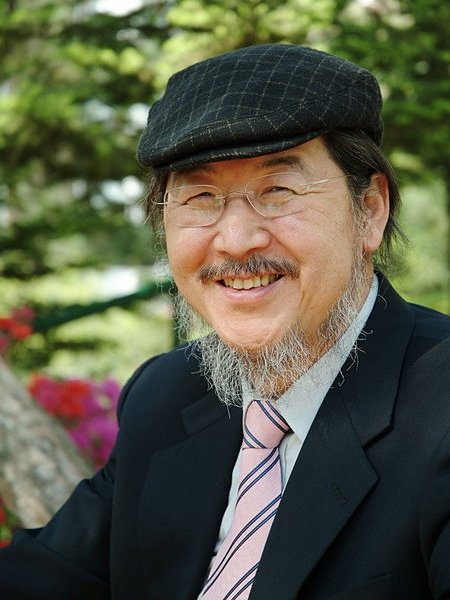 Kim is one of the founding members of the International Society for Science and Religion, was a co-moderator of the 6th and 7th Congress of Asian Theologians, and is the current president of the Korean Society of Systematic Theology. He has published monographs in English and Korean, including Toward a Theology of the Tao (2000), Christ and the Dao (2003), Theology of the Tao II (2012), and A Theology of the Dao (TheoDao) (forthcoming).